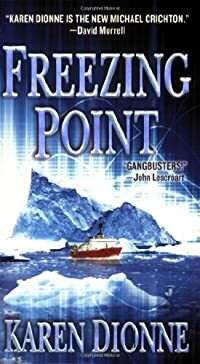 Freezing Point by Karen Dionne: Synopsis and Online Purchase Options. Synopsis (from the publisher): As he faces the frozen behemoth of a giant iceberg, environmental activist Ben Maki sees Earth's future. Clean drinking water for millions, waiting to be tapped from the polar ice. The Soldyne Corporation backs Ben's grand philanthropic vision for a better today—while making its own plans for a very profitable tomorrow.